To view SARRAH's Privacy Statement, please click here. This non-identified information can be used to monitor usage patterns on this site to improve navigation and design features, helping you to get information more easily. This site contains links to other sites. SARRAH is not responsible for the privacy practises or the content of such websites. Our site may use forms for users to request information. We may collect visitor's contact information (ie email address), and demographic information (ie postcode). Contact information may be used to send information about SARRAH. The member’s contact information is also used to get in touch with the member when necessary. SARRAH does not sell any personally identifiable information to any third parties. The Publishers, SARRAH and the Editors cannot be held responsible for errors or any consequences arising from the use of information, documents, policies and general material contained in this web site. The information contained in this web site and the views and opinions expressed do not necessarily reflect those of the Publishers, SARRAH or the Editors, neither does the publication of advertisements constitute any endorsement by the Publishers, SARRAH or the Editors of the products advertised. The SARRAH web site also includes information derived from various third parties which is neither endorsed or supported by Services for Australian Rural and Remote Allied Health and does not necessarily reflect any policies and/or standards of SARRAH. 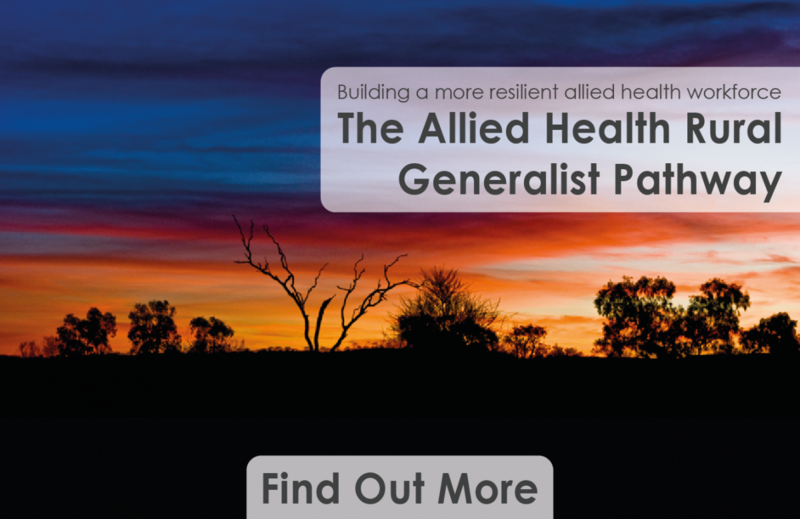 Whilst the information and the third party information contained on this site have been presented with all due care, Services for Australian Rural and Remote Allied Health does not warrant or represent that the information or the third party Information are free from errors or omissions. This information is made available on the understanding that SARRAH and its employees and agents shall have no liability (including liability by reason of negligence) to the users for any loss, damage, cost or expense incurred or arising by reason of any person using or relying on the information and/or the third party information and whether caused by reason of any error, negligent act, omission or misrepresentation in the information or the third party information or otherwise. Further, whilst the information and the third party Information are considered to be true and correct at the date of publication, changes in circumstances after the time of publication may impact on the accuracy of the Information and the third party Information. Although care has been taken in providing links as suitable reference sources, due to the changing nature of the internet content, it is the responsibility of the users to make their own investigations, decisions, enquiries about the information retrieved from other internet sites. Provision of these links does not imply any endorsement, non-endorsement, support or commercial gain by Services for Australian Rural and Remote Allied Health. The material at this site is protected by copyright. Apart from any use permitted under the Copyright Act 1968, you must not copy, frame, modify, transmit or distribute the material at this site without the consent of the copyright owner. You may save a local copy or print a copy of material at this site for your own personal use, provided the copyright notice on the material is not removed. However, you may not make any charge for such use and any commercial exploitation is expressly prohibited.